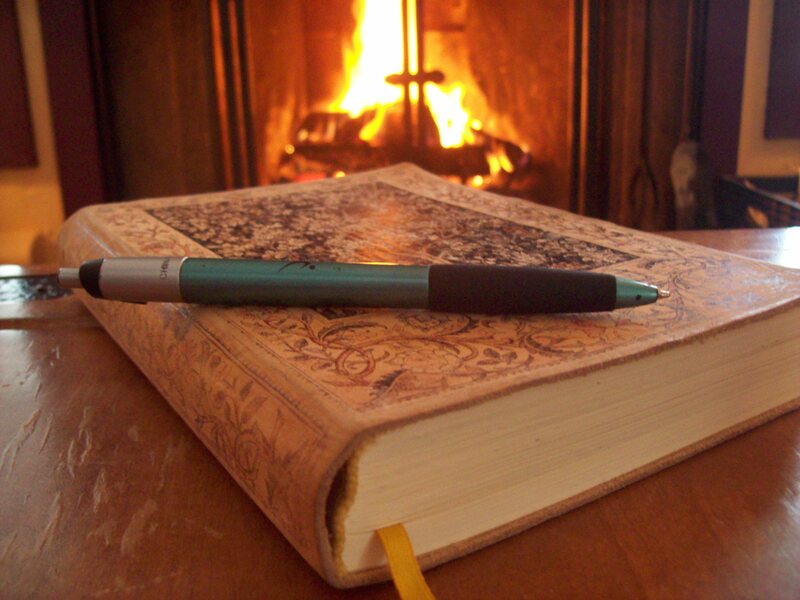 This is my Warm Journal. It is warm because it spends much of its time in my grip, being obsessively scribbled upon. It is warm also because what I scribble in it has mainly to do with the grace of God, which never fails to flood one’s chilly soul with sunlight. Oh, you want to know about my blog? No worries; I was getting to that. The blog is also my Warm Journal. And it is simply a slightly more coherent version of the leather one, in which I write almost every morning (until it is too full of grace to hold any more, in which event I shall replace it with a fresh young journal. A green one, perhaps). The Journal is loaded with warm entries: personal studies on God’s forgiveness, mercy, peace, and love. I think them over, polish them here and there, and then share them with you. I hope the truths God has shown me in the His Word will strengthen you as they have strengthened me. Looking forward to see your green journal–that’s my favorite colour! And I’d add, it’s warm because of your burning passion to know Christ and make him known to the online world (and to wherever else Christ uses your blog to reach His intended readers). That’s really kind of you. God’s unconditional love for us is something I would like everyone to understand, which is why I decided to make public my private musings on the subject. 🙂 As for the journal, I have had my eye one a green leather one at the bookstore for some time.